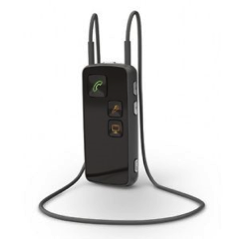 A user- friendly device that gives you a better control of your hearing aid functions. 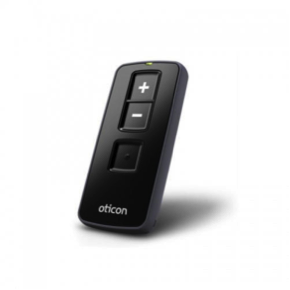 With a small remote control you can change the volume of your hearing devices as well as the program. 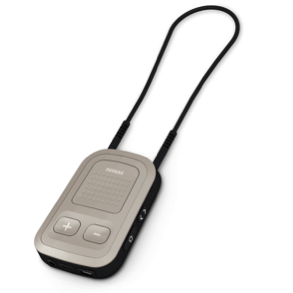 This is a great accessory for someone who visits multiple sound environments throughout the day and needs some control on the go. 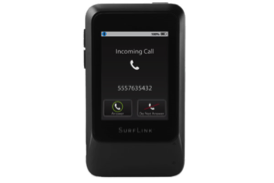 Whether you struggle with calls on your cell phone or landline phone there is an accessory to help. 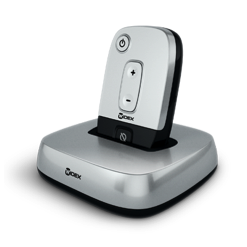 A phone streamer can connect to your hearing aids and your phone to be able to stream the phone call directly to your ears through a Bluetooth connection. 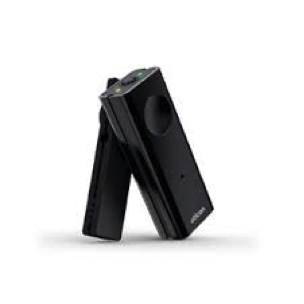 This device is great for anyone who struggles with clarity and understanding on phone calls. 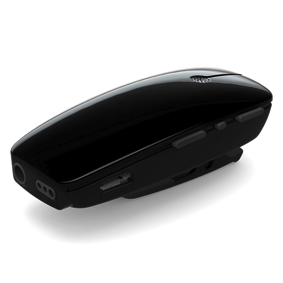 It allows you to hear the caller through both ears and at a volume that is suitable for your hearing loss. 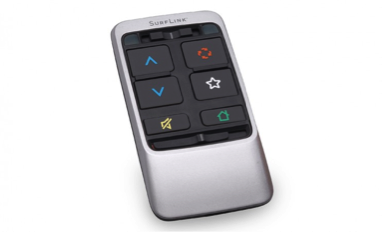 A great device for anyone who has difficulty hearing and understanding television. 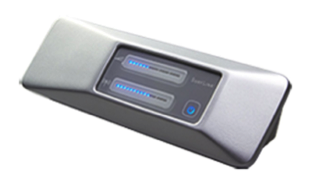 This multi-media device connects to your home television and your hearing devices to stream the sound directly to your ears. This allows you to hear the television at the volume you need to be able to understand and allows the other people in the room to hear the television at a volume that is comfortable for them. Lectures, group meetings, and noisy restaurants are some of the top noise situations that patients with hearing loss struggle in. All of these situations can be helped by a remote microphone. 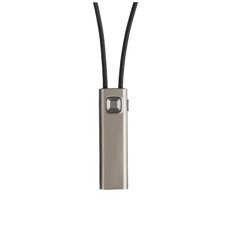 This device is a small discreet microphone that can be clipped to the speaker’s lapel or placed on a table in front of a group of speakers and stream their voices directly to your hearing aids. This allows for much better clarity in these difficult sound environments. 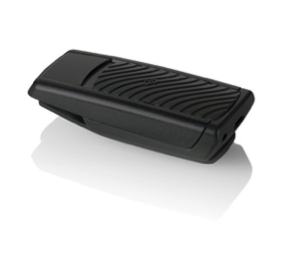 This microphone can provide clear speech for up to 30ft from the speaker. Assisted listening devices (ALDs) are any type of device that can help you function better in your day-to-day communication situations. 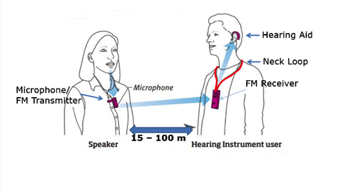 An ALD can be used with or without hearing aids to overcome negative effects of distance, background noise, or poor room acoustics. 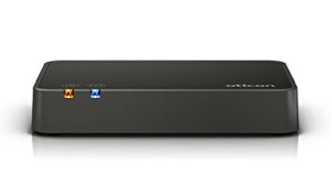 ALD’s include: FM Systems, loop systems, amplified phones and TV systems. 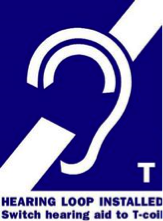 We have multiple options for ALD’s and can guide you in your selection depending on your needs and your hearing goals. Swim molds are designed to protect the ear canal and middle ear system from water entry. They are appropriate for patients with chronic swimmer’s ear, perforated ear drums or modified middle ear systems. A swim mold can be utilized by anyone wishing to maintain a relatively dry ear canal while bathing, surface swimming or showering. Floatable custom swim molds are ideal for anyone who wants to keep water out of his/her ears while swimming, bathing or showering. Swim molds are particularly useful for children who have pressure equalization tubes in their eardrums due to frequent ear infections. Swim molds are available in a variety of colors and color combinations. 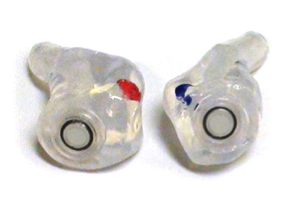 Musician Earplugs are designed to replicate the natural response of the open ear. Sound heard with these earplugs has the same quality as the original, only quieter. Speech and music are clear–you still hear the blend clearly, feel the bass, and distinguish each tone. 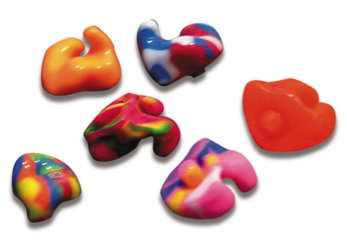 An ear impression by one of our trained Audiologists is required to order custom Musician Earplugs. Exposure to excessive noise during work or leisure activities can increase a person’s risk of hearing loss and potentially worsen a pre-existing hearing problem. It is important to wear hearing protectors, especially if you must work in an excessively noisy environment. 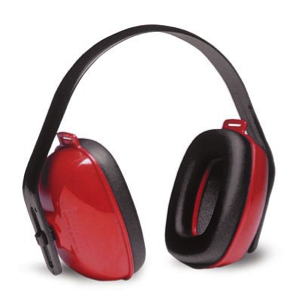 You should also wear hearing protection when using power tools, noisy yard equipment, firearms, or riding a motorcycle or snowmobile. Since there is no cure for noise-induced hearing loss, prevention is the sensible alternative. 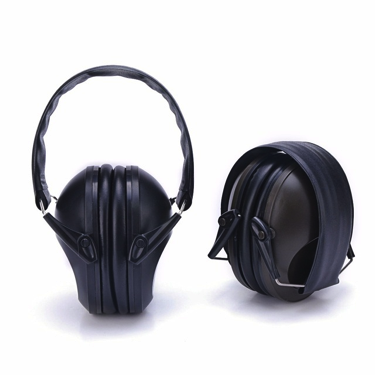 Hearing protectors come in two forms: earplugs and earmuffs. 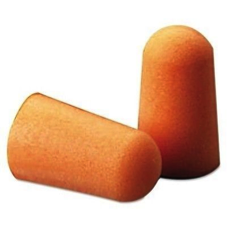 Earplugs are small inserts that fit into the outer ear canal. Earplugs come in both custom fitted and stock sizes. They must be sealed snugly so the entire circumference of the ear canal is blocked. An improperly fitted, dirty, or worn-out plug may not seal properly and can result in no protection for hearing. 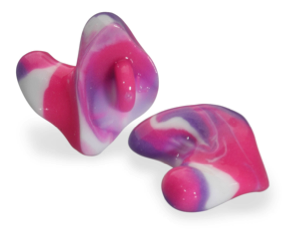 Ear plugs are available in a variety of shapes and sizes to fit individual ear canals and can be custom-made. 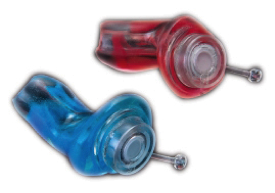 For people who have trouble keeping them in their ears, a more custom fitted ear plug may be required. Earmuffs fit over the entire outer ear to form an air seal so the entire circumference of the ear canal is blocked. They are held in place by an adjustable band. Earmuffs will not seal around eyeglasses or long hair, and the adjustable headband tension must be sufficient to hold earmuffs firmly in place. Assistive Listening Devices serve a variety of functions to help you hear better in multiple lifestyle situations. These devices are meant to be used either with or without hearing aids depending on your hearing needs. When used with hearing aids, assistive listening technology can increase the positive benefits associated with hearing aids and create a powerful combination.